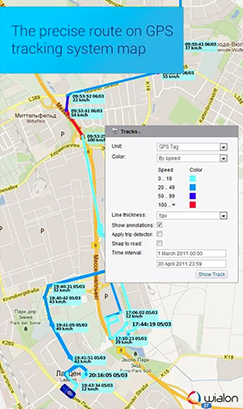 GPS-Trace is a multifunctional fleet management system, also used for mobile and stationary assets tracking. For more than 13 years in the international market with Wialon GPS Fleet tracking solutions have entered the national markets of 100 countries. Over 900 fleet tracking service providers have chosen GPS-Trace recognizing our favorable business terms (we never put our customers into long-term contracts), flexible, yet powerful fleet management features and high-quality technical support. THESE TERMS AND CONDITIONS ARE BINDING. Welcome to the GPS-Trace.info website (hereinafter - the "Site”). In this ToU "GPS-Trace”, "we”, "us” and "our” means GPS-Trace. YOUR USE OF THE SITE AND/OR THE SERVICE SIGNIFIES THAT YOU AGREE TO THESE TOU AND CONSTITUTES YOUR BINDING ACCEPTANCE OF THESE TOU, INCLUDING ANY MODIFICATIONS THAT MSPY MAKES FROM TIME TO TIME. The Site and the Software of GPS-Trace shall be used only with the aim of (i) parental control of children, (ii) by employers to monitor the devices, which belong to them and on which the employees work, (iii) on a device, which is of a user’s ownership, (iv) by a user with a consent of the device owner. To purchase and use the Software you should create your account by completing the Billing Information and the Payment Method by providing your personal information. You will not use the Site, Service in violation of any laws you are subject to. Notwithstanding the foregoing, GPS-Trace is not responsible for your access or use of the Software. You consent to GPS-Trace before placing the order to read the Compatibility Policy and to check the requirements of your target device according to the Compatibility Policy. You understand that you require a physical access to a device to install the Software. You agree that GPS-Trace is not responsible or liable in any manner for the installation by you of the Software to a target device. You will not allow any other third party to access your account or to utilize the Software. In case the access your account was granted to a third party deliberately or by mistake or in any other way without your consent you acknowledge that mSpy does not bear the responsibility therefore. You will only install the Software on devices for which you are the owner or you received a consent from such owner. We reserve the right to modify, terminate or refuse the GPS-Trace Service to anyone for any reason, without notice at any time. We reserve the right to alter these ToU at any time. To subscribe to the Service you should place the order. The Service provides the defined Products to be ordered by a user. The Products’ packages depend on your device, the quantity of features, which you may choose and a subscription plan. Under your account you may have several subscriptions. While placing the order you should complete the Billing Information and the Payment Method by providing your personal information. Following the purchase of the Software your credentials (login and password) will be sent to your email so you could enter your account/control panel. You should download you private key from your account and keep it or remember it in case you could require to restore your access to the account and subscription(s). You may choose the subscription plan for periods of 1 month, 3 months , 6 months or 12 months. You are aware that you may use the Software for more than one target device when purchasing one subscription plan, but you have to reinstall it on your own. Subscription automatically renews unless auto-renew is turned off at least 24-hours before the end of the current subscription plan. In case you are not ticking off the auto-renewal for your order you will be charged for the next subscription plan period. You may tick off the auto-renewal in your control panel/account during the subscription period. You may never use another user’s account without permission. When creating your account, you must provide accurate and complete information. You are solely responsible for the activity that occurs from your account, and you must keep your account password secure. You may not share or transfer any account. You may not disclose your password to anyone else. You must notify GPS-Trace immediately of any breach of security or unauthorized use of your account and if you believe that an account password may have been compromised. GPS-Trace will not be liable for any losses caused by any unauthorized use of your account. You may interact with the Service through your account/control panel by changing settings that are made available to you. You may enable auto-renewal for your placed order or turn it off. You are responsible for all activities that occur under your Account. You agree not to create or access an account using a false identity or information, or on behalf of someone other than yourself. You agree not to create an account or use the Service if your Account has been previously removed by GPS-Trace, or if you have been previously banned from the Service. You have the right to cancel any account of yours at any time. You may cancel any account registered to you by following the instructions on the Site. If you voluntarily terminate an account or allow that account to lapse, you may reactivate that account at any time through the control panel on the Site. Accounts terminated by GPS-Trace for any type of abuse, including without limitation a violation of these ToU, may not be reactivated for any reason. Upon any termination or suspension of the Service, the monitoring of all devices on which the Software is installed shall cease and any information you have submitted on the Site or that which is related to your account may no longer be accessed by you. In case you forgot your password to the Account you may restore the access with your private key. GPS-Trace cares about the integrity and security of your personal information. You acknowledge that you provide your personal information to the Payment Provider while placing the order for the Product. GPS-Trace receives personal information of a user from the Payment Provider in the volume of user’s ID and email (login); a password is known only to a user. GPS-Trace stores in its database your personal information in encrypted way, it means GPS-Trace does not have a direct access to such encrypted data. GPS-Trace stores user’s login in database. User’s password is not stored. We store only hash of the password generated by md5 hash function from user’s passwords. GPS-Trace does not store in its database all logs and data downloaded from a target device with the use of the Software in case of an active account for more than 3 (three) months period. Upon the expiry of this period all information gets deleted. In case of expired accounts all logs and data downloaded from a target device with the use of the Software gets deleted within 1 (one) month period. In case of disclosure of such encrypted data GPS-Trace may not be held responsible. You acknowledge that GPS-Trace does not encourage its users to exploit the GPS-Trace service illegally. When placing an order for the Product you acknowledge and agree that you are of the age above 18. When installing the Software to a device you acknowledge and agree that you are a parent to your minor child. When installing the Software to a device you acknowledge and agree that you are an employer and the employees’ device is owned by you. When installing the Software to a device you acknowledge and agree that you own this device or you notified and received the consent from an owner of this device. You are aware that before placing an order for subscription you have to read carefully the Compatibility Policy. You are aware that before installing the Software you have to check the requirements of compatibility of your target device. In case your device is not compatible with the Compatibility Policy you may not install and use the Software application. In case you have failed to comply with Compatibility Policy before the subscription you agree that it is your responsibility and you will not be refunded. In case you have failed to comply with Compatibility Policy before the installation you agree that it is your responsibility and you will not be refunded. You understand that in case you require that your device be compatible with Compatibility Policy in order to use the Software you are to jailbreak or root your device correspondingly. In an effort to improve the Service, GPS-Trace may update the Software application from time to time. You acknowledge and agree that GPS-Trace may update the Software with or without notifying you. You acknowledge and agree that GPS-Trace may request you via email or control panel to make such Software application update on a target device. Subscription to the GPS-Trace Service may begin with a free trial period during which you can try out the Service for 7 (seven) days from the date you place the order (hereinafter – the "Free Trial”). You are required to enter your billing information in order to place the order and subscribe for the Free Trial. Upon the expiry of the Free Trial you will be automatically charged for the chosen package and next subscription plan unless you turn off the auto-renewal in you control panel/account. You may cancel your Service use at any time during the Free Trial. Upon cancelling you will immediately lose all access to the Service and any data and information stored within your account. Any unused portion of the Free Trial period will be forfeited when you purchase a subscription plan. GPS-Trace reserves the right to modify, cancel or limit the Free Trial without notice at any time. Please review Refund Policy (cooling-off period). 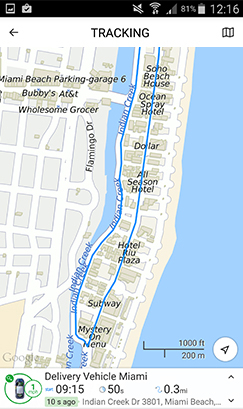 GPS-Trace Software includes a money-back guarantee if you are not satisfied for any reason. Your eligibility for a refund may depend on the Product package, subscription plan, duration since the transaction, etc. The Site may contain links to websites operated by other parties. GPS-Trace provides these links to other websites as a convenience, and use of these sites is at your own risk. The linked sites are not under the control of GPS-Trace, and GPS-Trace is not responsible for the content available on the other sites. You agree to indemnify, defend and hold GPS-Trace and the related parties harmless from any and all claims, demands, damages or other losses, including reasonable attorneys’ fees, resulting from or arising out of your use of the Site, the Software and/or the Service or any breach by you of these ToU or any other policies that GPS-Trace may issue for the Site, the Software and/or Service from time to time. The Service may be terminated upon the expiration of the subscription. GPS-Trace reserves the right to deny Service to any user at GPS-Trace’s sole and absolute discretion. The Service is offered with the understanding that GPS-Trace may terminate any subscription and/or your access to the Service at any time, for any reason or no reason, including without limitation for any violation of these ToU. 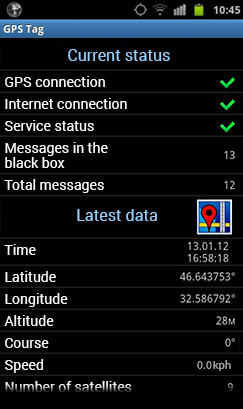 GPS-Trace may stop offering and/or supporting the Service at any time. GPS-Trace reserves the right to deny service to, or if applicable, terminate the service of any user or associated with, a user that attempts to monitor the device of an individual, who has not received a consent of such device owner. In such cases GPS-Trace reserves the right to block all accounts associated with such potential violating user. These ToU describes certain legal rights. You may have other rights under the laws of your state or country. These ToU do not change your rights under the laws of your state or country. In case the laws of your state or country do not permit you to use the Software application or use not all features hereof you acknowledge and agree that it is upon your responsibility. Wialon system supports a variety of cartographic services used in tracking, such as Google Maps, Open Street Maps, HERE Maps, Bing Maps. 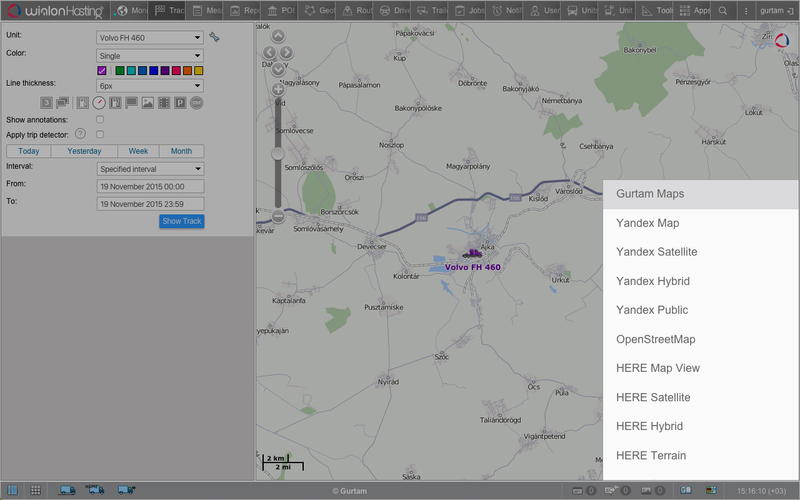 Besides, Gurtam Maps native GIS service is available. Gurtam Maps represents a perfect combination of usability and functionality, flexible addressing system, routing service and other features to satisfy all the cartographic requirements of Wialon system users. 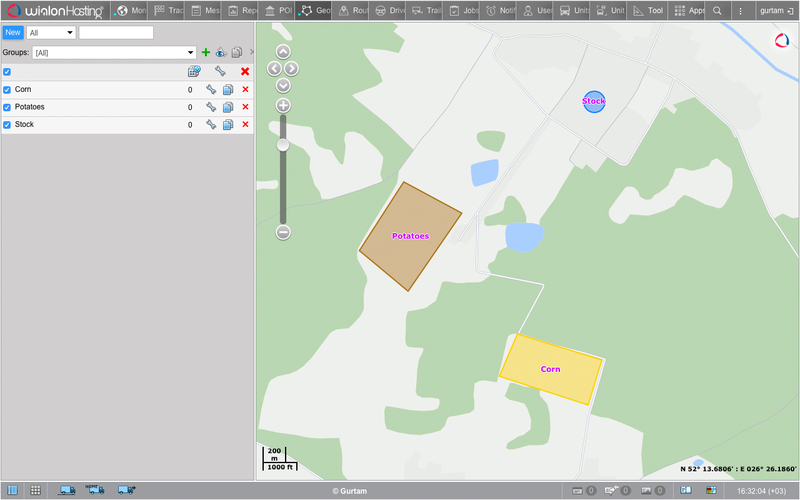 Gurtam Maps GIS (Geographic Information Services) is part of Wialon Hosting, Wialon Local and GPS-Trace Orange solutions that functions as a separate application and can be used by our clients to develop proprietary solutions. Up-to-date legend, high quality unit visualization and all the necessary map layers. Allows to adjust address data display format to clients needs. 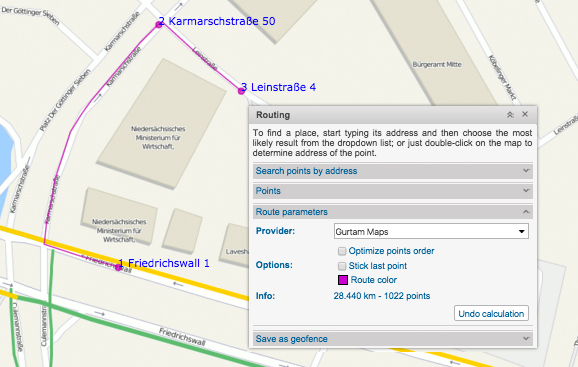 Optimal route between waypoints, estimated time and distance calculation. Posted speed limit detection based on GIS data. 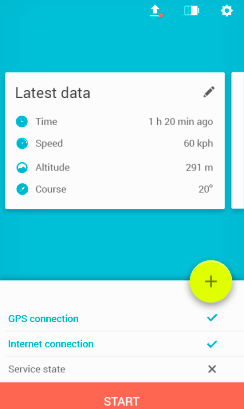 GPS Tag is a native mobile application available on iOS and Android that turns your smartphone, tablet or other mobile device into a GPS-tracking device compatible with Wialon platform. To use it you will just need Internet access and an account in Wialon or GPS-Trace. The application is great to use for personal tracking -- you always know where your children, relatives and the elderly are. GPS Tag is also suitable for small businesses: couriers, field sales agents and taxi drivers. 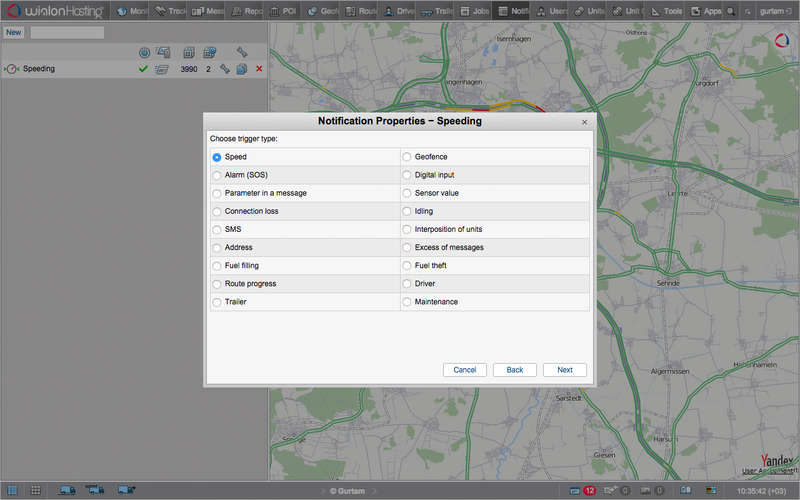 The application uploads coordinates, driving speed and route data into the system. Unit movement history is shown on the GPS Tag map. 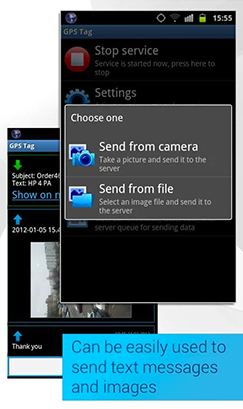 Photos and messages can be uploaded into the monitoring system directly from the application. Constant or "timeout” data transmission for longer battery life. 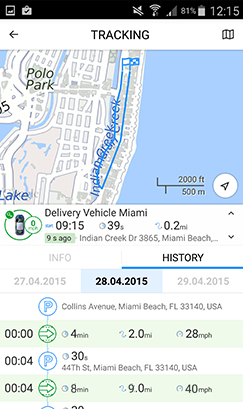 The app turns your smartphone or tablet into GPS tracker. 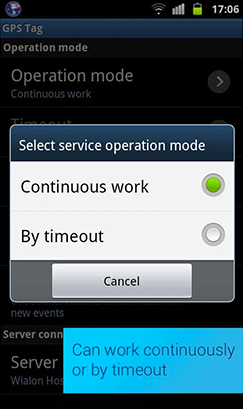 WiaTag application serves for efficient mobile workforce management. Due to accurate speed detection and detailed movement history of a unit, WiaTag is designed to optimize and control field operations and mobile staff performance. The app can also become an effective tracking tool for the public utilities and social services. 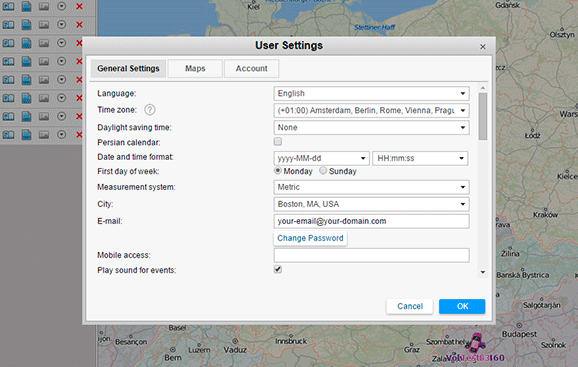 WiaTag allows a dispatcher to set a manager password and hide definite settings for end-user. Moreover, the app allows for remote app management by means of control commands from Wialon system. To implement monitoring over a unit, you need an account in Wialon system, smartphone with a built-in GPS receiver, and Internet access for registration. Choosing preset mode (Active/Standard/Lite) or creating your own (Custom). 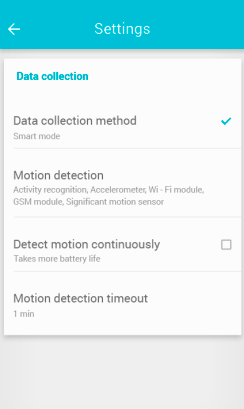 Collection of data using smart mode for efficient battery consumption. 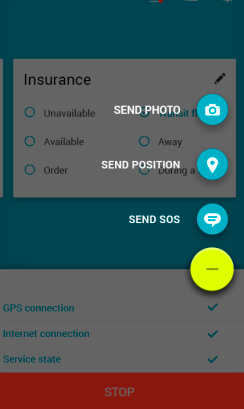 Quick access to sending location, photo, and SOS messages. Wialon Data Center guarantees the operational performance of SaaS-solutions of Gurtam – Wialon Hosting and GPS-Trace – at over 99,5% uptime. 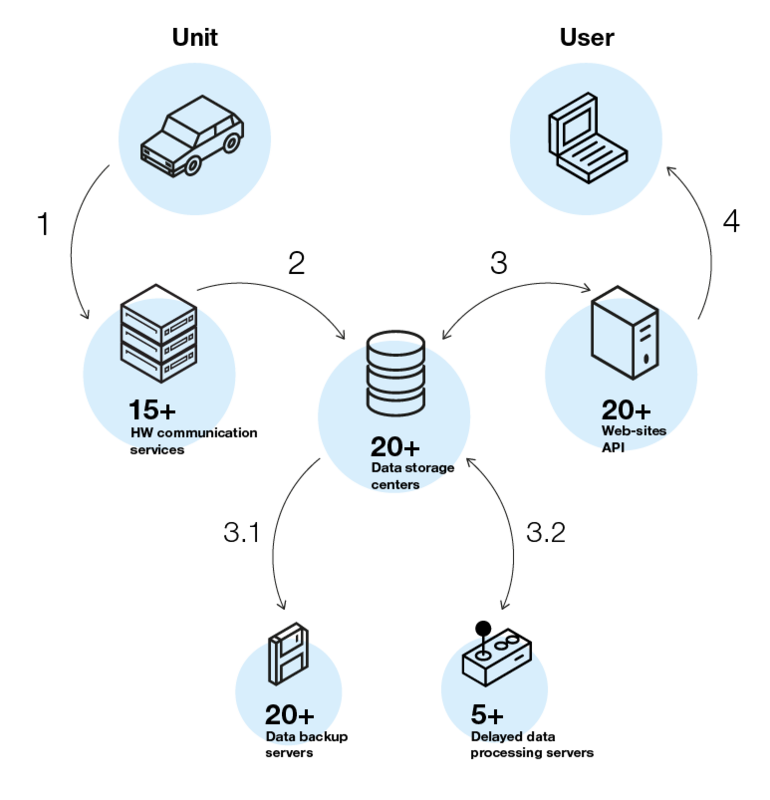 Every minute our server center receives about half a million data packets from the tracking devices deployed worldwide. Additionally, there are typically over 15 000 users concurrently logged into the system. State-of-art technologies for data storage and processing, database administration, process automation and more than 100 advanced Wialon servers provide stable operation of hosted solutions even under extreme load. Wialon Logistics is a universal program designed to control all stages of delivery and field services operations. The service allows to perform a wide range of tasks in the area of logistics and delivery – transportation arrangements, transport processes optimization and cost saving. Wialon Logistics comprises web-version for dispatchers and mobile application for drivers. Web-version ensures effective operating procedures management: orders placement, planning and distribution, route optimization, delivery process monitoring and coordination. 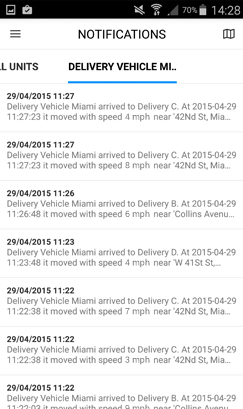 Wialon Logistics mobile app is designed for delivery men and mobile employees. Track the delivery process in real-time mode and respond to emerging issues through phone calls or chatting with the driver. 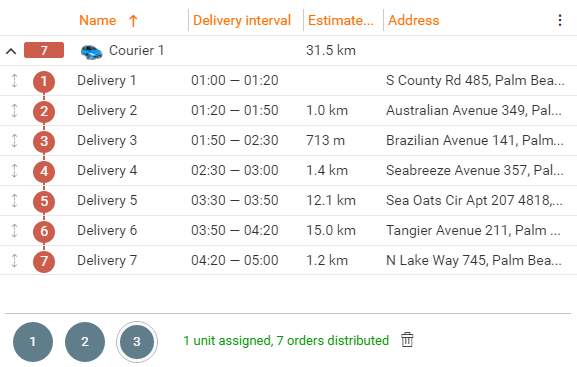 Save time using automatic route lists and order reports generation. 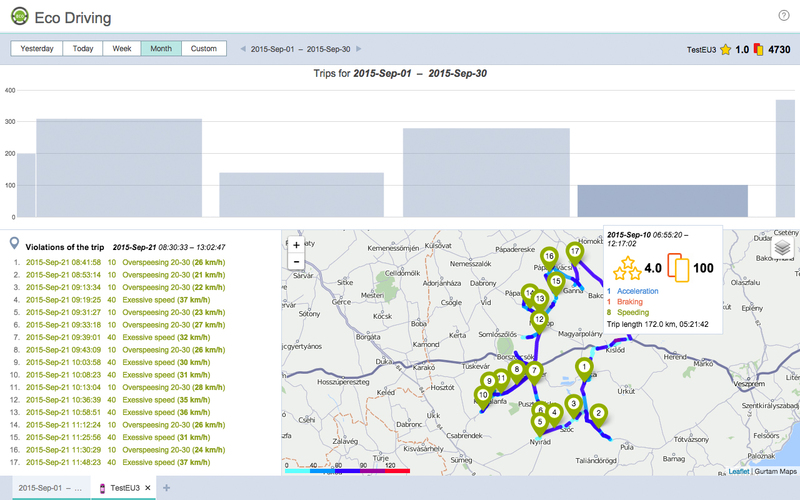 Online vehicle tracking is the ultimate solution to boost fleet efficiency and productivity. If heads of companies with mobile assets in possession don’t apply for online monitoring, they often face endless difficulties mostly related to inefficient vehicle use, fuel thefts and unfair execution of office. Wialon for fleets and mobile workforce online monitoring allows to both optimize your costs and improve driver accountability. The system ensures control over various units - from conventional transport to family pets. unit data analysis and interpretation via reports (tables and graphs) and much more. 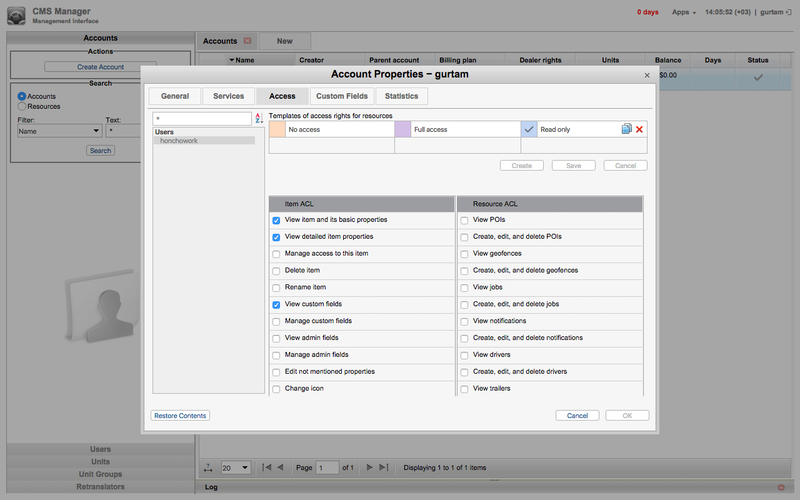 Quickly create and set up accounts, assign rights to use specified system functions with the help of CMS(Customer Management System) interface. Use almost any type of GPS/GLONASS hardware and a variety of external sensors, including temperature sensors in refrigerated and FMCG trucks. 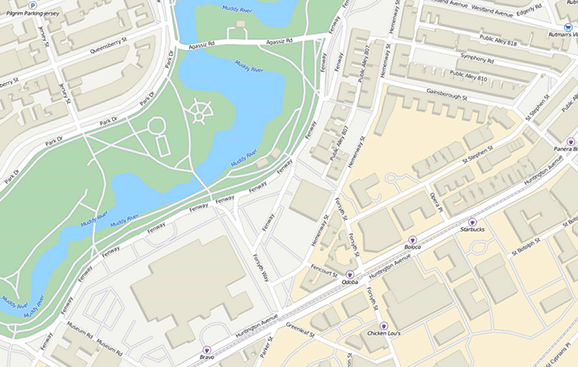 Choose preferred map layers, including OpenStreetMap, Yandex Maps, Google Maps, Bing Maps, Yahoo Maps and proprietary geoinformational service Gurtam Maps. 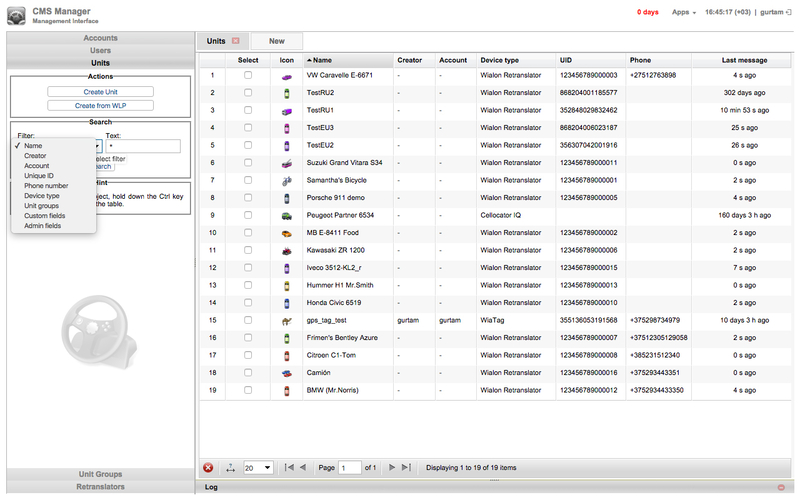 Analyze sensor values, movement speed and any other unit data online. 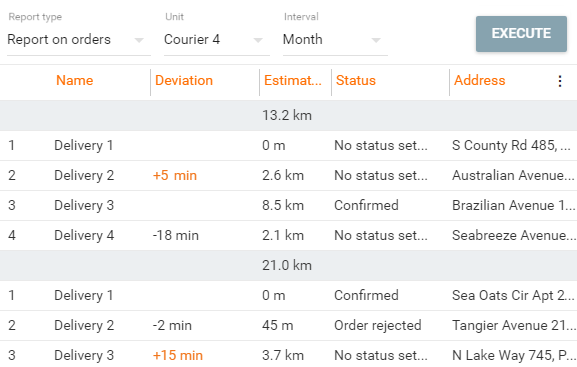 View and optimize single or multiple units routes displayed as tracks on the map. Create geofences and monitor visits, receiving instant notifications when the unit enters/leaves a geofence. 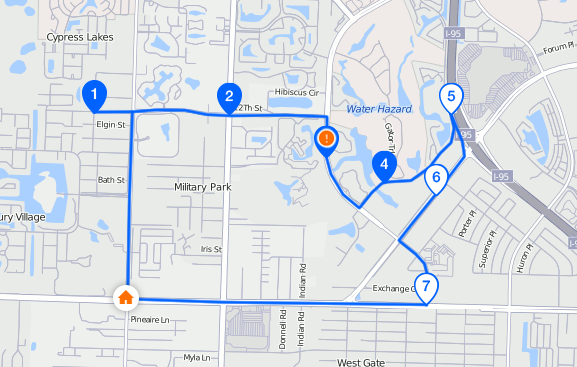 Use "Routes” tool to track vehicles or mobile workforce following the route waypoints. Analyze driver behavior and identify reckless driving using Eco Driving module. Electronic driver logs, accurate odometer reportings and mileage counters to ensure driver compliance. Track stationary and mobile assets with cellular tower-based positioning option when GPS signal is weak or not available. Generate links and share location for personal tracking or mobile workforce management purposes. Get relevant data from units online with Wialon mobile application for iOS and Android platforms. 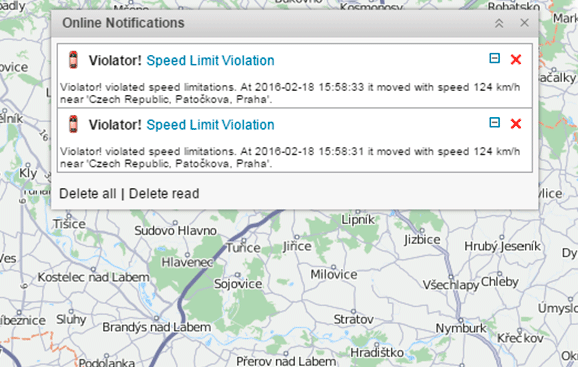 Wialon system allows users to set up events (speed limit violations, fuel filling and alarm button activation) as notification triggers. Notifications can be sent via email, SMS, displayed in a pop-up window, or delivered as push notifications via Wialon mobile app on the smartphone. 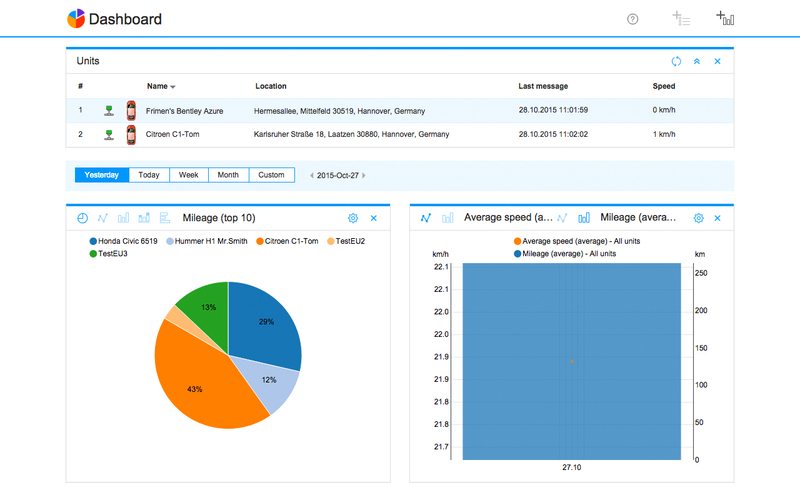 Wialon is able to process and analyze any data from units, show it in reports and visualize it as graphs. 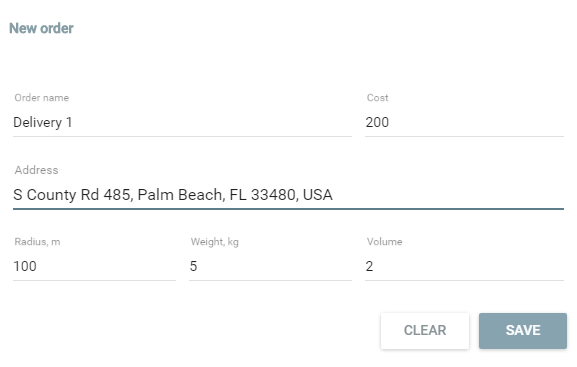 A user can choose report contents by setting up report templates. The reports can be created for one unit or unit group: flexible settings provide you with relevant information. 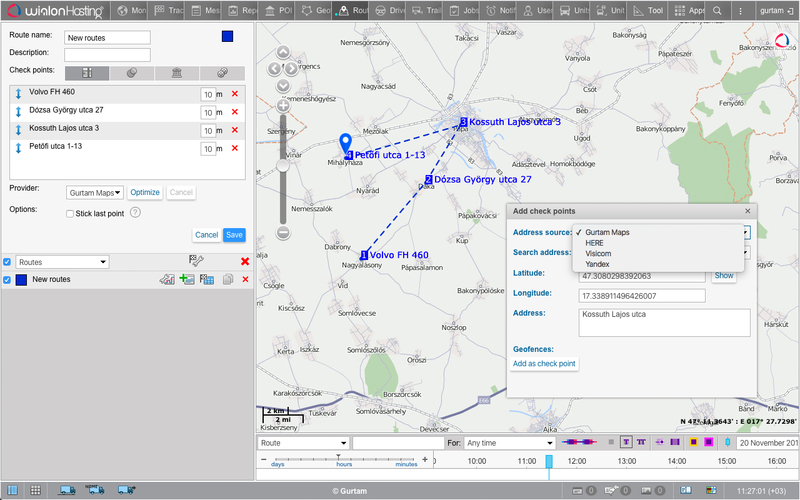 Wialon Local is a server based version of Wialon satellite vehicle tracking system. Due to modular functions structure the client may choose only the features relevant for their business. The fleet management system can function on standard capacity servers and is suitable for those who possess from 100 to several thousands of units. Intelligent platform management interface allows for remote server start or shutdown. 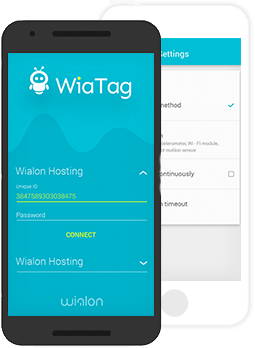 The multilingual native mobile application is available for both Wialon Hosting SaaS-solution and Wialon Local server-based product. Wialon mobile client allows to manage monitoring unit list, providing immediate insight into activity of assets in a real-time mode. Handy navigation and user-friendly interface make it easy to access multiple functions of Wialon Mobile. For our partners’ convenience we provide the opportunity of branding the application with their logos and copyrights. 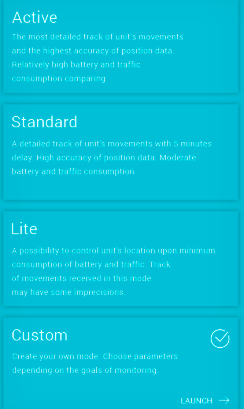 Menu with unit information and status. 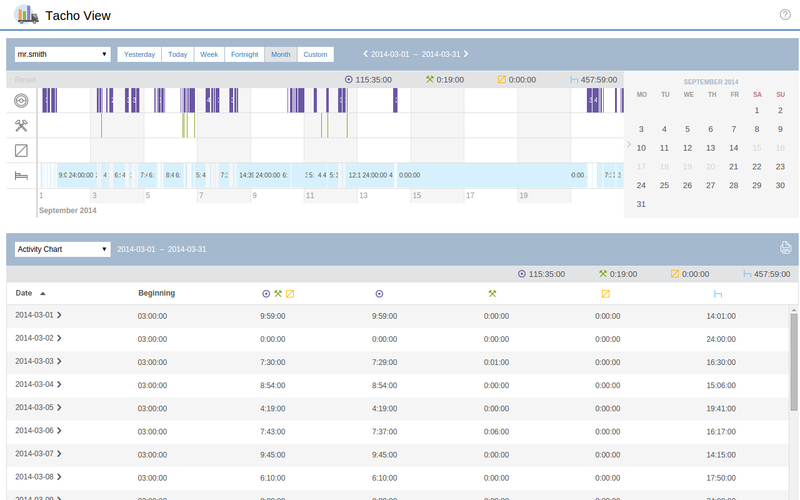 Unit track/breadcrumb trail view capabilities. 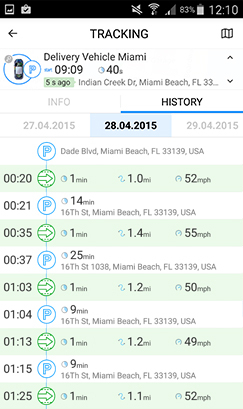 Data on trips, parkings and fillings in chronological order with detailed information. Handy event-based push-notifications with the option to move towards the unit from notification text. Gurtam Maps, Google and OpenStreetMaps support with zoom adjustment and unit menu relocation option.